Set up the email service and IIS settings in order to use the notification feature. For more information on how to open the InLoox PM options, see Open the InLoox PM options. 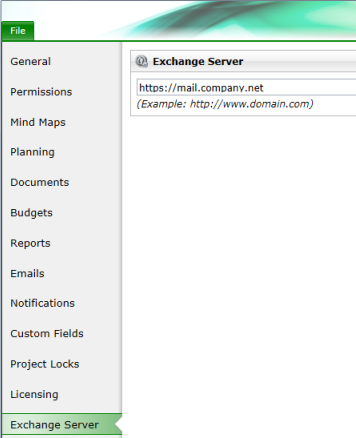 On the right side, in the Exchange Server area enter URL for the Exchange Server that should be used for the email sending. 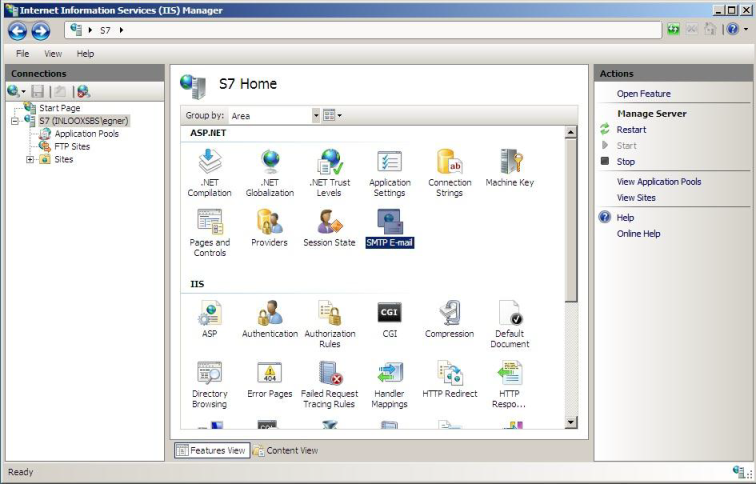 Alternatively you can also configure the IIS for email sending. 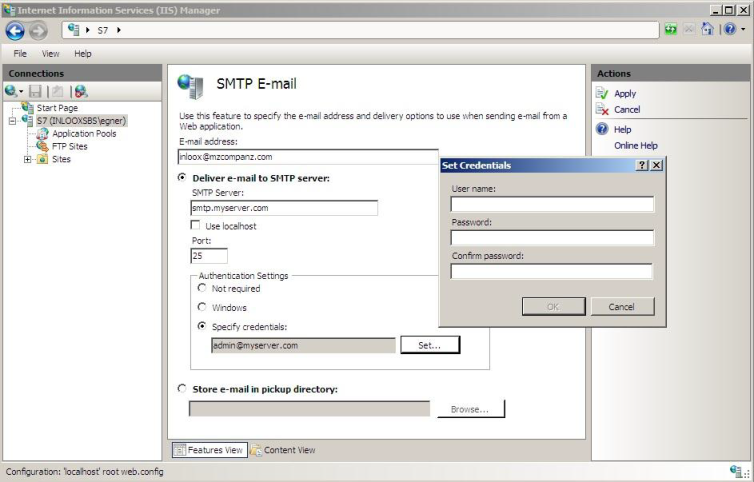 Open the SMTP email configuration in IIS. Insert the corresponding connection parameters to your email SMTP server. Set up the email service • Copyright 1999-2019 © InLoox GmbH. Tous droits réservés.